If your IT is based on IBM hardware and/or applications you should read this book. 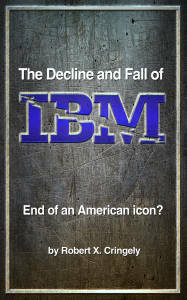 The link includes the Introduction from the book so you can decide whether it is worth $3.99 for almost 300 pages on what is really going on in IBM and, perhaps, whether you should be entrusting your livelihood to them. Twitter Topples Due to Over Capacity? I’ve been using Twitter for only a few days and have already found that things are not all light and joy in Twitterland. Before I say more, I should note we are evaluating Twitter as one of many ways of getting employee notifications out during an emergency. The idea came from an article in Government Technology. 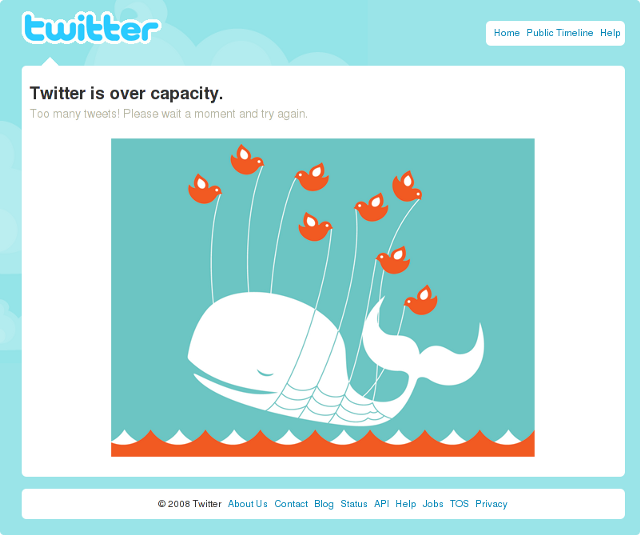 This morning, however, I got the display below saying that “Twitter is over capacity. Too many tweets! Please wait a moment and try again.” The problem is the longer I waited the slower the system became until as of earlier this morning (HST), it simply doesn’t respond, at all. Although Twitter wouldn’t be the only way we would be getting our messages out, this lack of capacity is a concern and something we will need to monitor. Twitter over capacity error page. We’re experiencing a site outage and are working to recover. Update (1:32p): And we’re back – this was a DNS configuration error that impacted the entire site. We apologize for the unscheduled downtime. We’ve not had an outage of this length since mid-July and will be carefully reviewing what went wrong.